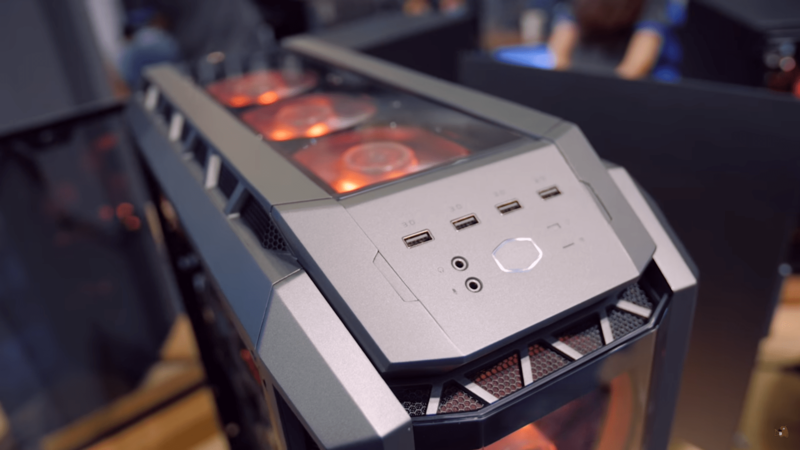 Haf also knows as High Airflow Series, well no doubt that Half 912 and Half Advanced X were really great cases for their price, they offered serious premium features at just $50-$70 Price point. Fans always supported Haf series due to their good quality features and obviously the material. Haf H500p is made up of Premium Good quality Plastic and has Acrylic Side panel both on Front and on Top. It has Dust filters in front of its vents, has a Theme support. It has RGB so you can switch any colour or just colour cycle through. Haf H500P has 2 fans support In front but you already Get 200mm 2(x) fans from Cooler Master that are RGB. You can Control the lighting from front IO that will allow Users for easy access to RGB. The front two fans are enough for horizontal/vertical airflow that’s why it is also known as HAF. It has a Transparent Glass cover which can be easily mounted back in Old ways, You shift inside and It doesn’t drop same way you shift it upside too. It has a lock on The Glass so users can easily lock it since many users complained that they have lost the keys of the Case. 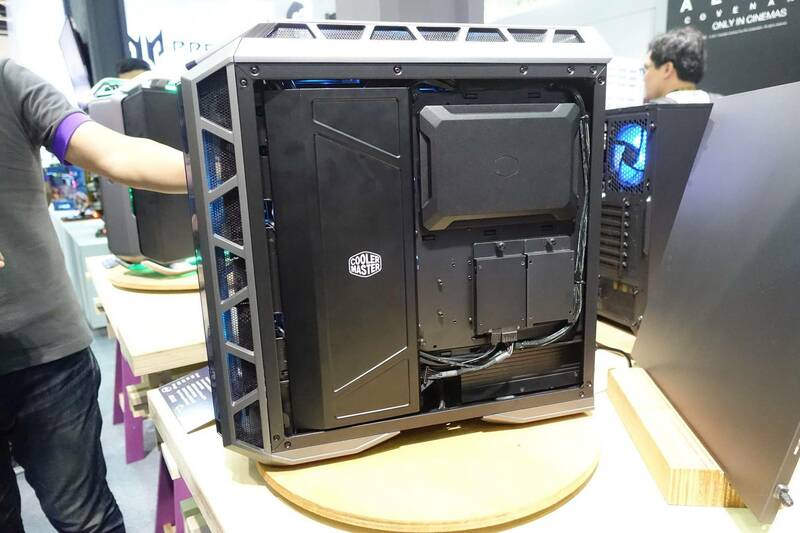 Inside it is much like a Mastercase Concept, it is fully Open inside and has a beautiful Shroud, which is Modular. The Hard Drive Cages are not visible since they are fixed at back thus this will allow users to showcase their PC more beautifully. The most important feature of this case is that It comes with a free Vertical GPU riser or bracket. popped up from Cooler Master that the new Haf H500P has a Power Button but it has no Cooler Master written on it, It simply resembles Cooler Master Logo so that People would recognize Cooler Master By Their Logo. 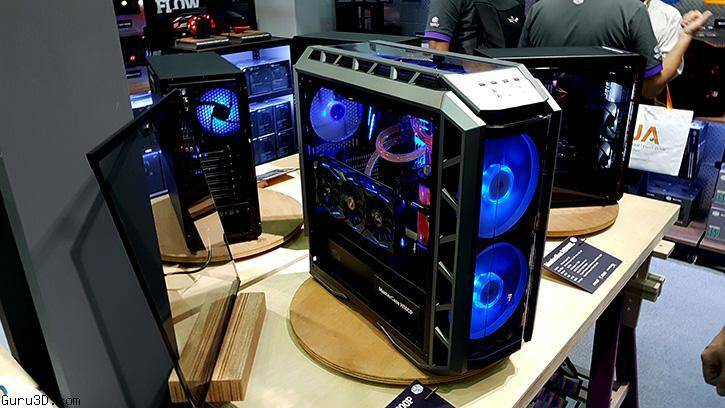 Well the return of Haf series is quite fantastic because personally these are one of best cases from Cooler Master, they are also known for their High End Airflow. 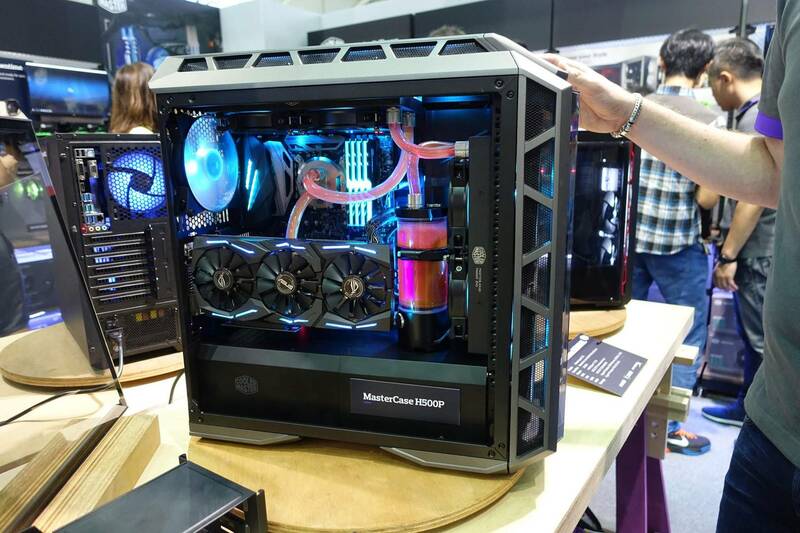 Although With this Release Cooler Master didn’t disappoint us, the case is quite nice and looks really awesome weather its the features or the Quality, Special Thanks to Dimitri From Hardware Canucks for Pictures!